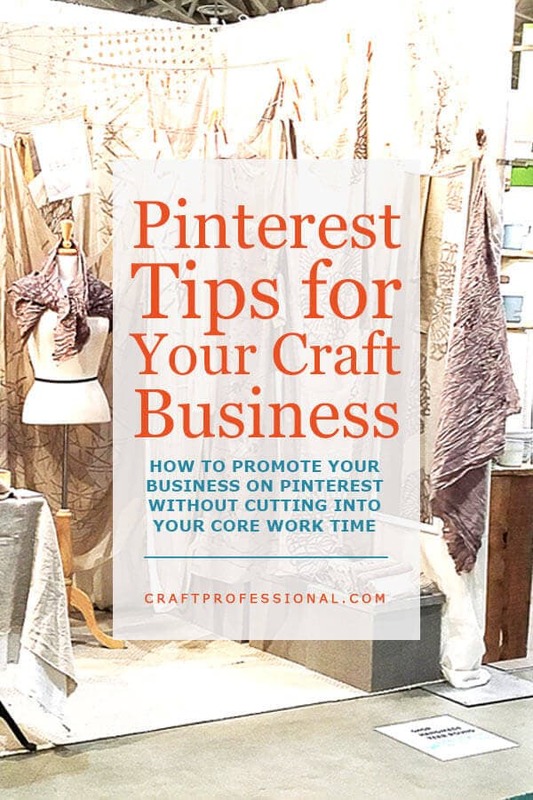 a workflow for promoting your business on Pinterest without cutting into your core work time. 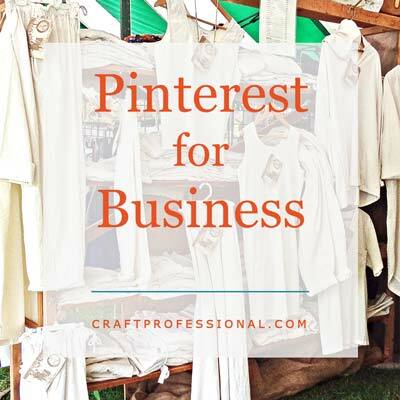 Switching from using Pinterest for personal use to using Pinterest for business will require a bit of strategy and planning. Creating a good Pinterest management workflow will initially take some time to get things set up, but once you get a good system in place, you can manage your Pinterest account in a reasonable amount of time, and you can do the work whenever you like. These Pinterest tips come from many, many months of trial and error that I have spent working to set up a system that works effectively and efficiently. 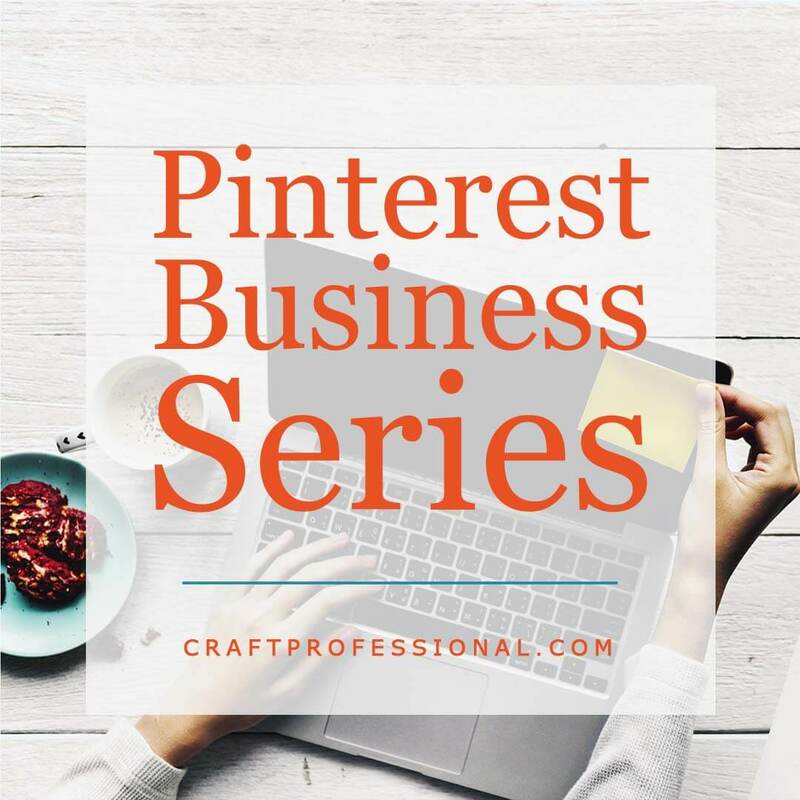 Here's the strategy I use to find time to promote my own business on Pinterest without giving up my core, focused work time. 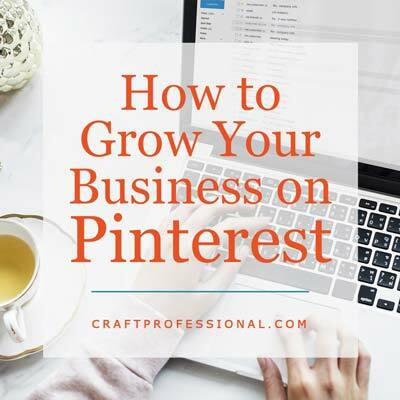 If you're going to grow your business on Pinterest, you need to pin your own images and other people's content frequently. That means you need a strategy for creating your own images, and you need a strategy for finding good, related but non-competing content from other people. I pin about 20 items per day. You don't have to start with that many daily pins. I started with 5 pins per day and worked up to 20 as my system got better. 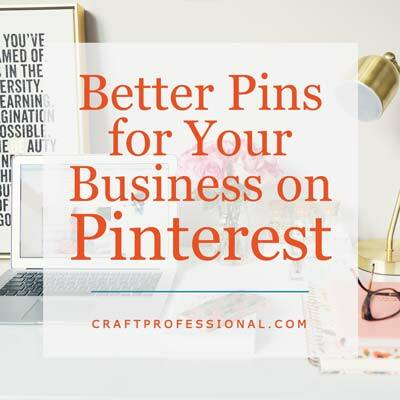 One thing I discovered pretty quickly, even when I was only pinning 5 items per day, is searching for quality content to pin can be a huge, time consuming task that takes you away from taking care of other aspects of your business. Without a smart workflow in place, you could lose days of valuable work time taking care of Pinterest. I used to find content to pin directly on Pinterest. 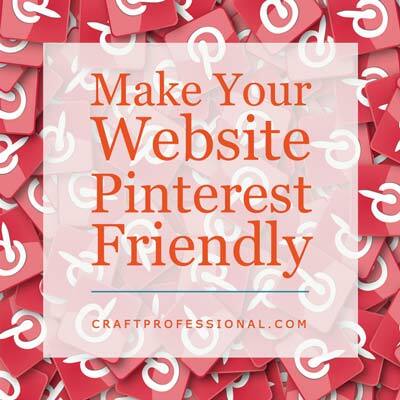 I would search through hundreds of Pinterest posts looking for great, relevant pins. Then I'd click through to the original site of each one to make sure they linked to quality material. Working this way required two full work days every month to schedule my Pinterest pins. That's two days I could have been using to write new articles, or create new products, or hang out with my kids, or read a good book! That's why I don't use Pinterest much for finding items to pin anymore. I'll surf around on it and pin something that catches my eye, by it's not where I go to find 20 pins a day. 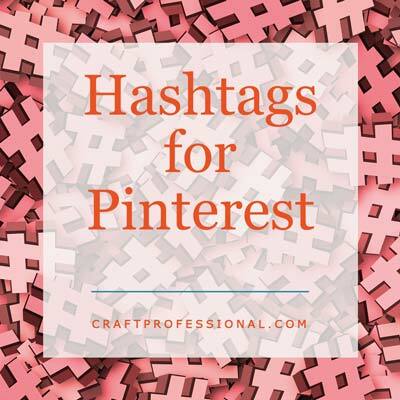 I will scroll through Pinterest and pin anything I think would be interesting to craft professionals who follow me there, but it's not my main source of content to pin. I use Feedly to get all kinds of new, relevant craft business information sent to me every day. Feedly is fabulous because it sends me the newest information, just posted to the web, about any topic I want to track. For pinning, that means almost everything that comes to me from Feedly is the original source. It doesn't take enormous time to track down original sources when you get your content from Feedly because they are all brand new posts. You might get the odd "roundup" in your feed, but that's about it. A side benefit of this tracking is you will be on top of the newest information in your niche, so you can react quickly to new trends, and become the go-to person in your niche who always has the most current scoop. Feedly is an RSS feed reader. If you're not familiar with RSS feed readers, they are fantastic tools for staying on top of all the news in your industry. You simply add blogs, or topics you want to follow, and every time something new is posted on that blog or about that topic, it will be listed in your feed for you to read. I use Feedly to track some personal interest information as well as business information. To get started, simply create an account at Feedly, then start adding content. There are free and paid options at Feedly. I've been using a free account for quite a while, and it fully meets my needs. There are a few ways to add content to Feedly. It might not be immediately obvious how to find and add content, but they have a good blog post explaining how to get started. Think about topics you want to post on Pinterest, and start searching those topics on Feedly. 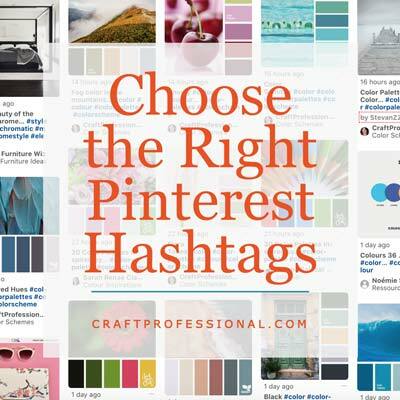 Follow anything that looks like it might have promising content to post on Pinterest. You might also have specific websites you want to follow on Feedly. Search for and follow them as well. You can follow this site, for example. While signed into your Feedly account, just type craftprofessional.com into Feedly's search bar, and then click follow. It will take some time to cultivate a good set of sites and topics to follow. As you review your feeds each day, you'll notice some sites or topics you follow give you nothing of interest, while others will deliver plenty. Just delete sites or topics from your feed if you find they aren't helpful. Over time, you might find you're missing information on a topic you want to pin, so you'll need to do another search for more sources of information on that topic. 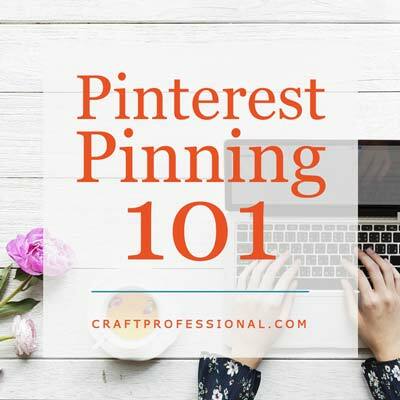 Once you've developed a great set of feeds that provide information your Pinterest followers would like, your pinning will be simple and not too time consuming. How do I get items from my Feedly account pinned to my Pinterest account? I also use Tailwind to pin items from my own site to Pinterest. Tailwind is a service that allows you to schedule pins to your Pinterest account at the best times. I've been using Tailwind to schedule my pins since 2016. It costs $15.00 per month, or $9.99 per month if you pay annually. I find that cost pays for itself in the time it saves me and in the number of visitors Pinterest brings to my site. I can schedule pins at any time that's convenient for me. Sometimes I schedule hundreds of pins at a time, and then Tailwind spreads out the timing of those pins, so they go out at the best time possible and aren't dumped onto Pinterest all at once. I like that Tailwind is an official partner of Pinterest because I believe that helps to keep my Pinterest account safe. Using a service that is not an official partner of a social site always makes me nervous that it could end up putting my account at risk. Using Tailwind to schedule pins is completely sanctioned by Pinterest, so there's no risk to your Pinterest account. Whenever I have some free time, I go to my Feedly feeds and scroll through looking for items to pin to Pinterest. When I find something I want to pin, I click through to that page, and then click a button to activate Tailwind to schedule the pin. I can do all of this work on my computer or on my phone. Feedly and Tailwind both have mobile apps, so I can work on scheduling pins when I'm out and about with time to fill. It's pretty simple. It definitely takes some time on the front end to find sites and topics to follow that will provide content to pin, but once you have that work done, it's not terribly time consuming. I never use big blocks of dedicated work time to pin to Pinterest anymore. I save that precious, focused work time for big projects, like writing articles and creating products. Feedly and Tailwind allow me to build my Pinterest following when I have little bits of free time here and there, when I'm sitting around waiting for my kids after swimming lessons, for example. 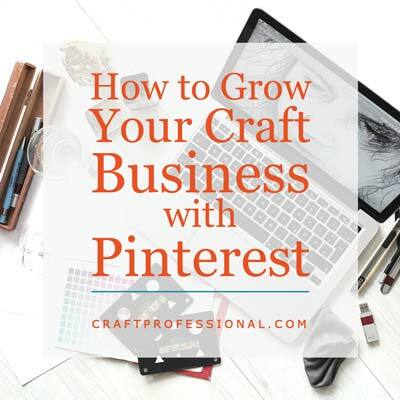 Any time I have a few minutes to fill that isn't long enough to get started on something big, I can work on growing my business on Pinterest. 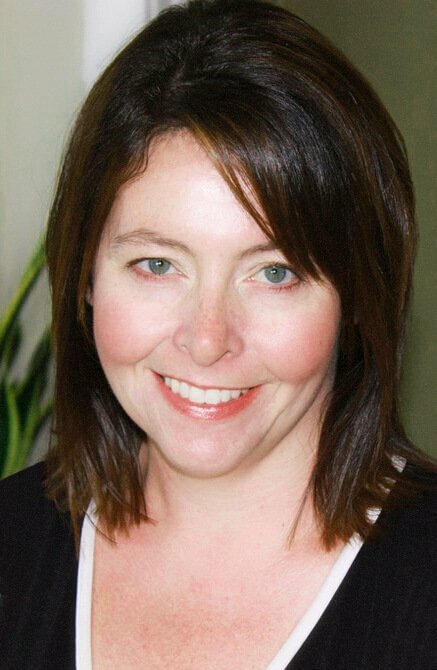 Start at Feedly, where I follow blogs and topics that are relevant to craft business owners. Look for new articles I want to pin. From Feedly, click to open an article I want to pin. Click a button that activates Tailwind, and follow the instructions to schedule my pin. Repeat to create a few more pins. Tailwind will automatically pin the article to my Pinterest account at the scheduled time. This system works beautifully for me. If you want to try this workflow for yourself (for free) simply get a free Feedly account, then you can sign up for a free Tailwind trial, where your first 100 pins are free, and you're ready to get pinning! How to create boards your target customers will love. Plus, how to use guided search to find out what your customers are looking for on Pinterest. The basics of saving pins on Pinterest. If you're brand new to the platform, this article is for you.